A Colorado couple is fighting over whether their preborn children will be allowed to live or be destroyed. Drake and Mandy Rooks were married for 12 years before they divorced in 2014, after having three children together. While married, they had struggled with infertility, and turned to in vitro fertilization (IVF) to conceive their three children. But they also created six additional embryos, which became a problem after the divorce. Drake did not want any more children; Mandy did. Drake wanted the embryos destroyed; Mandy wanted to keep them frozen. And so a court battle was spawned, with judges forced to decide if the children get to live or die. The Thomas More Society has filed an amicus curiae (“friend of the court”) brief on behalf of the American Association of Pro-Life Obstetricians and Gynecologists with the Colorado Supreme Court in support of Petitioner Mandy Rooks. Previously, a district court and the Colorado Court of Appeals court awarded custody to Mr. Rooks, but the Colorado Supreme Court sent the case back, demanding that certain factors be considered, and others kept out of the decision. Factors such as finances, the couple’s born children, and the ability to adopt a child were deemed inappropriate, and the lower court was instructed to balance both parties’ interests fairly. Thomas More Society Special Counsel Rita Gitchell explained the issues with the case in a statement. … Courts are relying on case law extracted from old, out-of-date science, that had not yet understood that the embryo is already fully formed and alive even before it is implanted in the womb. … [T]hose who provide an egg and a sperm which unite to become an embryo become genetic parents once they unite, it is not a fact that while the embryos are developing, the parents are ‘becoming genetic parents’, which would be comparable to suggesting that a woman who is seven months pregnant is ‘becoming pregnant.’ Until the courts or legislatures grasp the facts of created life, neither the Constitutional rights of parents to protect their created offspring will not be protected, nor are the human rights of the embryo will not be protected. As a result, human embryos are being treated like chattel or property, just like slaves in the pre-abolition era. The Washington Post noted that this is just the latest of embryonic custody battles across the country, with inconsistent court rulings sometimes coming in favor of the parent wanting to keep the preborn babies, and other times in favor of the parent who wanted them destroyed. There are numerous issues with this situation. First, this illustrates the ethical problem that IVF has brought forth. While helping infertile couples have children is a wonderful thing, IVF has led to the commodification of those children. 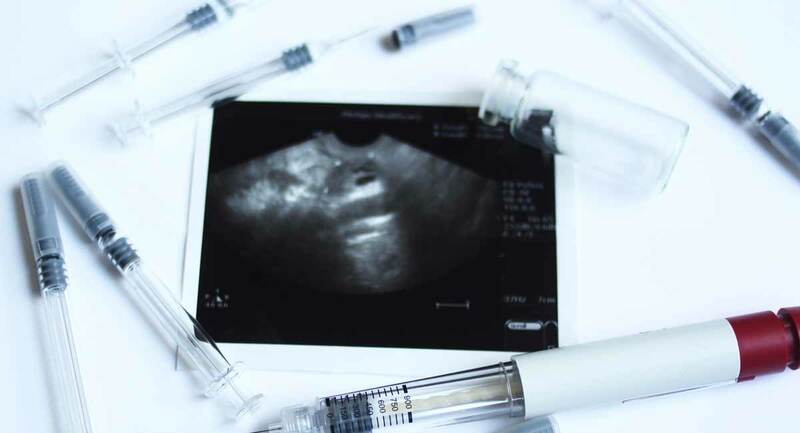 Couples have tried to trade their children, turned embryos into jewelry, have abortions if their children turn out to be “defective” or if there are “too many,” and even participate in IVF lotteries. IVF companies allow the parents to screen embryos to make sure the baby doesn’t have any extra chromosomes or is the “correct” gender. Finally, though, the most important aspect of this case is that these are preborn human lives, not objects to be used as pawns in a divorce like a television or a china set. Rooks may not want to parent any more children, but the reality is, he is already the father of nine children — with three of them already born. Rooks and his wife made, through IVF, human beings who are alive and only need the chance to grow and thrive. What Rooks is asking for now is the right to destroy his preborn children because he decided they are inconvenient or unwanted. The question now is whether the courts will agree that one parent should have the right to destroy their children against the other parent’s wishes.